Eipix Entertainment has teamed up with Big Fish Games and… THE SMITHSONIAN INSTITUTION!!! The result of this partnership is the epic Hidden Expedition series. The most recent chapter of this series is Hidden Expedition: Smithsonian Castle Collector's Edition. This continuation is exactly the kind of awesome that you would expect from such a partnership as what created it. 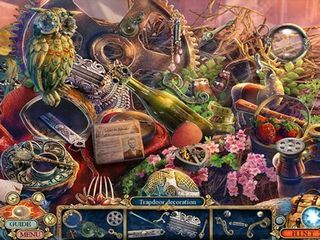 It is a brilliant, fun, and educational hidden object puzzle adventure game that will have you on the edge of your seat for hours on end. Your friend Sam, who is a H.E.L.P. operative, has called upon your services to help investigate something fishy at the Smithsonian Castle. Now, as you may know, this is no ordinary castle. It is situated in Washington D.C. and has a really fascinating history (read the Wikipedia article about it sometime). Anyhow, it was built shortly before the Civil War in 1849 (fact), which was when H.E.L.P. was also established (fiction). So, in this game you get to investigate the historical Civil War Smithsonian Institute as you try to get to the bottom of the H.E.L.P. mystery. It’s a real twisted pleasure of fact and fiction. Superb! In the Collector's Edition of Hidden Expedition: Smithsonian Castle, you’ll be able to race H.E.L.P. agents to Helen’s time machine, collect Fact Cards related to Smithsonian history, unlock new puzzles and replay mini-games and HOPs, and access neat media and a Strategy Guide. If you already are familiar with what’s happening, then play this game today! 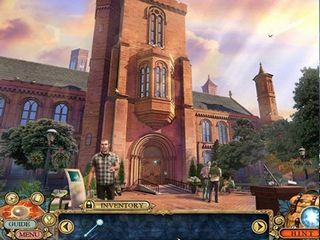 This is Hidden Expedition: Smithsonian Castle review. Download this game here.